Unless you're familiar with the drink, I bet the title of this post seems really strange to you. What's a Moscow Mule? According to Wikipedia, it's a cocktail made with vodka, ginger beer, and lime. It was popular during the "vodka craze" (what?!) in the United States during the 1950s. It's a drink my friend Lindsey turned me on to a couple years ago at Blue Stone, a great food and drink spot in Ithaca, NY. And our neighbors, who just recently moved, were also in love with the drink. In the weeks leading up to the marathon, I'm trying to drink less alcohol. It's not that I drink a lot -- but I usually have one beer a night. Perhaps more on weekends. Thing is, it's more of a psychological thing -- winding down with a cold beverage -- that I'm attached to. Enter the virgin Moscow Mule! It's a drink recipe that's as simple as can be . . . but it's leaps and bounds tastier than plain ginger brew. 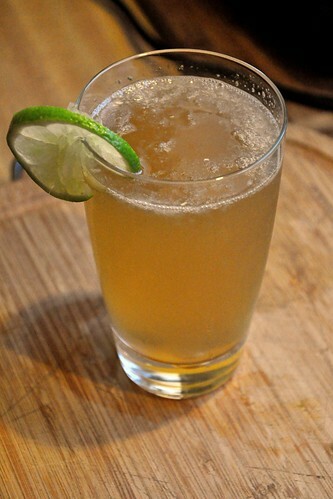 Simply mix together the ginger brew and lime juice. Serve in a copper mug for more authenticity and supreme chill-ness. If you want to make it a "real" Moscow Mule, simply add 3 ounces of vodka to the mix. But this tastes great without the booze. 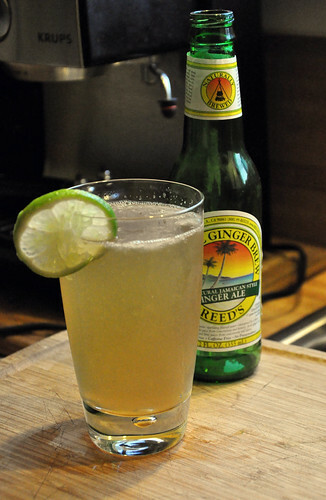 I like using ginger brew versus ginger ale because it's a stronger, more robust taste. But feel free to experiment with your favorite gingered beverage. I'm definitely having fun making virgin drinks. A lot of my girlfriends are pregnant or nursing right now. So, it's nice to have something besides water and orange juice to offer them when they visit! What's YOUR favorite cocktail or mocktail? Are you a beer-a-day (or glass-o-wine-a-day) kind of person? Do you abstain from alcohol completely? We're interested! Just leave a comment or email us at neverhomemaker [at] gmail [dot] com. 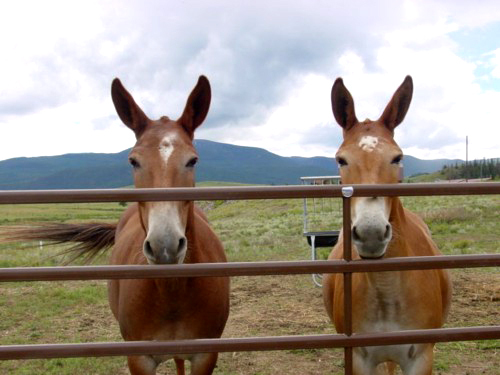 PS: Image Source . . .